Fall is near and it is time for the greatest season in the South! Festivals, hayrides, corn mazes, scarves and pumpkin spice lattes!!! 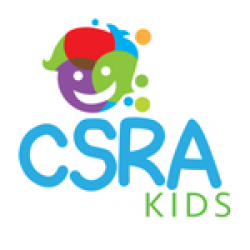 CSRA Kids is so excited to share with you all the fun the area has to offer you this season. Our hope is that you will Fall for the CSRA! Prices and event times are subject to change. Border Bash returns to the Augusta Common on Friday, September 7 to celebrate the event’s 25th anniversary! The Georgia and South Carolina cheerleaders and mascots will once again perform for crowds in Downtown Augusta with Whiskey Run and Tokyo Joe entertaining event-goers with live music. Arts In The Heart Of Augusta is a 2 1/2 day celebration of food, arts, diversity, and culture. We have over 80,000 visitors annually and are preparing for our 36th year. We feature a juried Fine Arts and Fine Crafts Market, a Global Village with food from more than 20 countries, five stages stacked with live entertainment and much more. Fall is in the air and the Fall Festival is near! Join us on Barton Field for all the frivolity and fun we have planned. There will be food, drinks, activities, a carnival, and so much more. This a charitable food festival to raise funding for local charities in the CSRA. There will be food trucks and live music. The 30th Annual Oliver Hardy Festival will be held Saturday, October 6, 2018 from 9:00 am until 4:00 pm in Downtown Harlem. Lots of handcrafted items, live entertainment, Laurel and Hardy impersonators, and plenty of delicious food will be available for a day of fun! A parade for the whole family to enjoy will begin at 10:00 am. This ever-evolving multi-arts festival transforms Downtown Augusta into a creative playground that brings art, music, and culture to life. ACHA presents the Twenty-Sixth Hispanic Festival of Augusta. It is an event where the attendees are always delighted by folkloric groups, musical groups, authentic food stands from several countries, arts and crafts, activities for children, and other attractions for the family. Augusta Gardens annual Fall Festival! Face painting, games, vendors, and delicious food will be had! Come join the fun!! Family friendly festival with music, food, games, giveaways and more! Rides and Games Daily, Attractions, Demolition Derby and More! Trail Head – 109 Eve St. This is Augusta’s chance to gather in our fabulous park, and celebrate all our canal and community have to offer together! We’re planning a full day of family fun, fresh air, fitness, and food. The CanalFEST includes races, tours, trolley tours, sports demonstrations, live music, and much more. Art Festival. There will be jewelry, baked goods, homemade candy, sweetgrass baskets, and yard art, as well as many other unique handcrafted items from around the Southeast. Celebrate local music in Aiken SC. There will be food trucks and activities for the kids. Trucks N’ Tunes is a music and food truck festival. The lineup will be headed by the Bethany and the Southside Boys, Cody Webb and Hyperplyy. Regional food trucks and craft beer vendors will be there as well. The festival is free to attend. Science Education Enrichment Day (S.E.E.D.) is a family themed festival celebrating science, technology, engineering, and math. The 32nd annual S.E.E.D. will provide an opportunity for engagement and exchange between children, teens, families, and local STEM professionals. The CSRA’s largest STEM festival will feature exhibitors who will provide hands-on activities, interactive demonstrations, and family-oriented STEM entertainment. Games, concessions, international food, chocolate, used book sale and more!! Join us for one of Aiken Counties best festivals!! Sassafras Festival! The Western Carolina Fair is the largest fair in the CSRA. The fair has dozens of choices for concessions, fair rides, vendors, entertainment and more! The Jack-O-Lantern Jubilee is an annual, family-oriented festival held in beautiful downtown North Augusta on Georgia Avenue. Activities include live entertainment on two stages, an awesome variety of great food, arts and crafts vendors, car show, corn hole tournament, amusement rides and plenty of activities for the kids including a costume contest, face painting, clowns, kiddie rides & inflatables. Looking for More Fall Fun? Check out our 2017 Fall Guide!